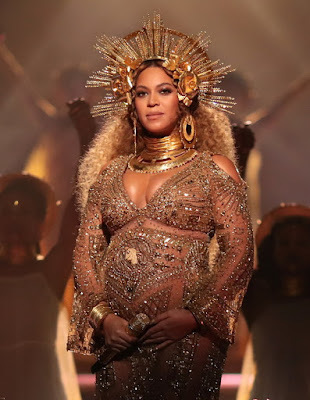 After announcing she is pregnant with twins, Beyonce redoubled curiosity of fans to a performance at the Grammy 2017. The ceremony celebrates the best in the music industry, the popular singer has performed the songs "Love Drought" and "Sandcastles" from the album "Lemonade". 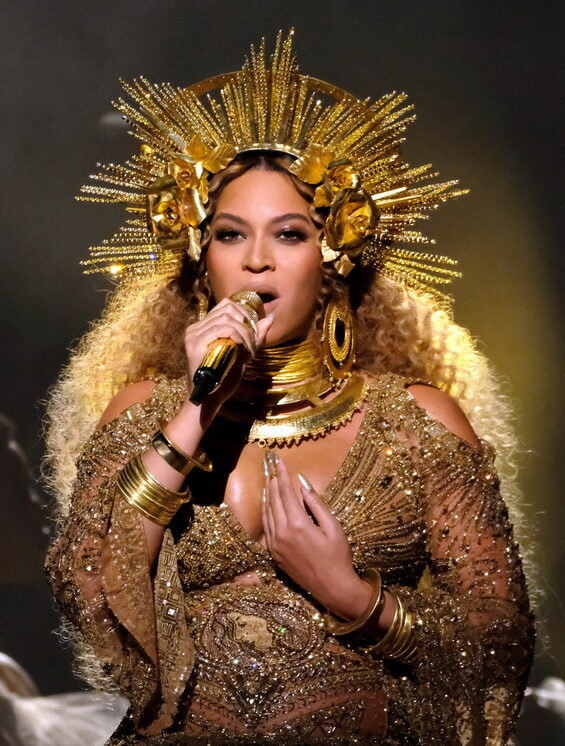 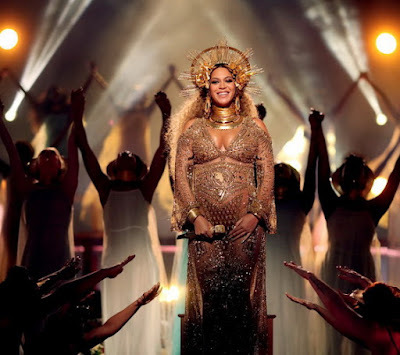 Beyonce flashed on the scene as a goddess in gold creation by Peter Dandas. 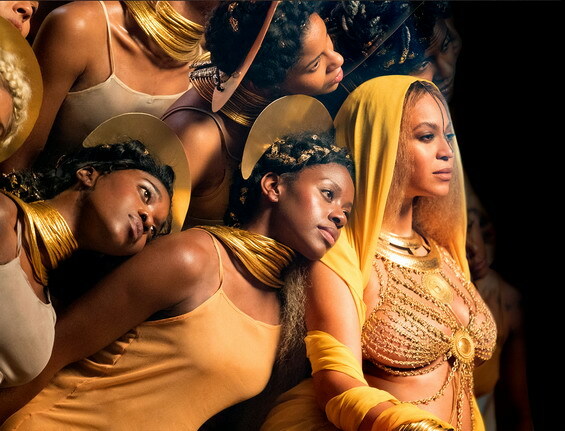 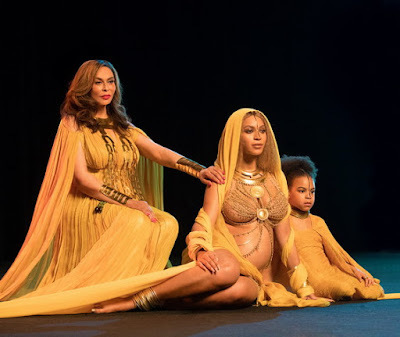 On the scene were projected images of Beyonce in gold costume that uncover her belly with her mother and daughter.